Milpitas, California – November 17, 2016 – Sierra Monitor Corporation (OTCQB: SRMC), a provider of Industrial Internet of Things (IIoT) solutions that connect and protect high-value infrastructure assets, today announced that its industry-leading BACnet gateways, routers, and network explorers are now “IIoT-Empowered out-of-the-box” and are shipping with new software that allows customers to securely register, access, and manage their field-installed products from Sierra Monitor’s FieldPoP device cloud. Sierra Monitor’s line of gateway products including the EZ Gateway and QuickServer products are used by OEMs and integrators to connect devices that speak a variety of protocols such as Modbus, SNMP, LonWorks, N2, M-Bus, KNX, and more than a hundred other proprietary protocols to BACnet-based networks and management systems within a building or facility. Additionally, Sierra Monitor’s BACnet Router connects BACnet devices to BACnet/IP backbones, while the BACnet Explorer assists with installation and troubleshooting by discovering devices and data points on building and facility networks. 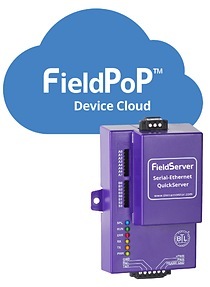 The newly-released software enables all of Sierra Monitor’s gateways, routers and explorers to be securely connected to the FieldPoP device cloud with just a few clicks. In addition to serving as a service management portal, FieldPoP also serves as a data middleware layer that collects IIoT device data from the field and lets third-party applications incorporate that data in business and analytics applications. As a result, OEMs and facility managers can gain new insights leading to improvements in product quality, innovations in products and services, and identification of new revenue opportunities.